September 11th 2001 is a day no one wants to remember, yet it is a day none of us will ever forget. 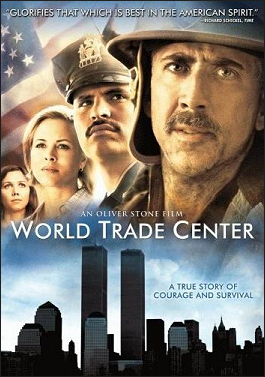 World Trade Center, a 2006 Oliver Stone movie, brilliantly captures the events that happened that fateful day. World Trade Center is a movie that pulls on the audience's heartstrings. It tells a story about courage and survival, as well as strength. The event brought each of the families together, as they waited for the call as to whether their family members were alive or dead. It is the story of Will Jimeno (Michael Pena) and John McLoughlin (Nicolas Cage), two Port Authority cops, trapped nearly 20 feet under the rubble. Still alive, hours after the collapse, Will and John would talk to each another to keep from falling asleep and dying. Trapped for more than 12 hours, Will and John stay awake until Dave Karnes (Michael Shannon), a Marine, first responds to the noises Will is making with the rusty pipe just in reach above his head. When Dave finally locates Will, he does not leave the spot, afraid to lose Will and not be able to find him again. 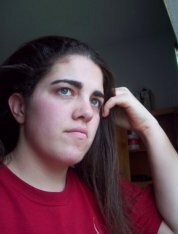 World Trade Center is not only about the survival of Will and John; it is about their wives and families, and how they deal with the grief and thought they would never see their husbands, fathers, and brothers again. With courage, love and hope, the Jimeno and McLoughlin families stick together through the heartbreak and sorrow, while the other 2,739 families that lost loved ones face devastation and despair. In the midst of all the devastation and heartbreak, I fully enjoyed World Trade Center. At one point in the movie, when John McLoughlin and another officer are heading to the scene of the towers, they briefly mention the car bomb in the car garage below the towers, an incident that happened in 1993. That's a piece of information I never knew had happened. This film raises the fact that it takes courage to get through the heartache. Although World Trade Center follows the wives and families of Will and John, the audience sees the love both Will and John have for being cops. The audience sees that even though trapped for more than 12 hours under concrete slabs and other building materials, they never give up and help each other survive. World Trade Center also raises the point that, at a time like this, no one can do it alone. Everyone has got to be strong for someone else as well as for themselves. The film really shows how both the McLoughlin and Jimeno family members stayed strong for each another, and towards the end of the movie when the families finally meet in person there is nothing but love and support for the other family. To know that there is at least one other family that is going through the same thing that you are, at the exact same time, makes it that much easier to get through it and make it to the other side. Director Oliver Stone does a fantastic job answering all these issues and provides vivid images for every one of them. Although the story is a hard one to grasp, the images and just seeing people actually go through it make it is not so hard to understand. What captivated me the most were the special effects and the director's choice of the actors and actresses to play each of the characters. What also captured my attention was how each of the actors and actresses fit into their roles and played them perfectly. They all showed the same amount of love for their jobs and families as the real life people and their families did. The director's style truly captured the events that happened that fateful day. Although these events brought much desolation and sorrow, people are not going to want to remember the day, but the movie showed that it was a learning experience and brought the nation in some ways closer together. Overall, the movie was neither fresh nor a stale-hott; it was a movie to recapture what happened that frightening day. It was to show the nation at a time of a new beginning, a time to start over. I would give World Trade Center a perfect 5 out of 5 stars because of its will to show to the world that before, during, and after the attack, the United States as a nation grew stronger.